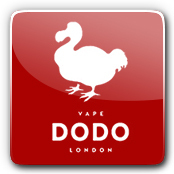 Made in Great Britain with love, the Vape Dodo London brand of E-Liquids are unlike anything else on the market. The goal was simple - create something beautiful and flavourful. They have managed to ruffle a few feathers on the market given the unique line of products. The look of the Vape Dodo London products is as intricate as the flavours, as they are recipients of the Best Packaging at the 2018 London Vape Show. Not only existing as champions in the design world, but the taste is also as good as the look of these particular products. The E-Liquids are available as both 10ml bottles and 50ml short fill bottles. The contents of the E-liquids are mixed as 80% VG / 20% PG, thus suited to use in Sub-Ohm tanks and Drippers. Each flavour is packed with notes from around the globe to create a line of E-Liquids that is distinguishable. The bestselling flavours are Alpine Berry, with fresh notes of mint, berry and menthol, the Smooth Forbidden Peach with the winning notes of yoghurt and peach, and the Cast-Away Coconut, offering a tropical coconut vaping experience! The flavours are complex, harmonious and offer an unforgettable vaping experience. Don't be satisfied with status quo vaping experiences. The old world of adventure is back, so put on your explorer hat and discover the world of Vape Dodo London E-Liquids. Happy vaping! Smooth Forbidden Peach by Vape Dodo London eLiquid | 50ml Short Fill - Peaches and cream? That's so last year. Smooth Forbidden Peach by Vape Dodo London layers sweet, succulent peaches over a smooth and tangy yoghurt base. This juice is ideal if you're looking for a creamy e-liquid that brings something different to the table. Raspberry Moonshine by Vape Dodo London eLiquid | 50ml Short Fill - Capturing the flavour of fermented, distilled raspberries, Raspberry Moonshine by Vape Dodo London is one of the rare e-liquids with the taste of an adult beverage. The slightly alcoholic taste of this e-liquid intermingles beautifully with the sweet and tart raspberry flavour. Cast-Away Coconut by Vape Dodo London eLiquid | 50ml Short Fill - Pure coconut e-liquids are hard to find, but we've finally located one with Cast-Away Coconut by Vape Dodo London. An unforgettable tropical experience, this e-liquid delivers the bold, creamy coconut flavour that you've been wishing for. Alpine Berry by Vape Dodo London eLiquid | 50ml Short Fill - Vape Dodo London visited the tallest hills in the country to gather a selection of frost-tinged wild berries for Alpine Berry e-liquid. This vape juice contains a hint of mint, a bit of cool menthol and plenty of bold, sweet berry notes. Smooth Forbidden Peach by Vape Dodo London eLiquid | 10ml Bottles - Why might a peach be forbidden? Well, if you ruled your own private island, you might want to keep Smooth Forbidden Peach by Vape Dodo London to yourself, too. It's just peaches and yoghurt, but the magic is in the details. Raspberry Moonshine by Vape Dodo London eLiquid | 10ml Bottles - Imagine you owned a field of raspberry bushes. After years of gathering and tinkering with your harvest, you perfected a recipe for raspberry wine. Still unsatisfied, you continued by distilling your wine to create a glorious raspberry moonshine. Does that sound like a lot of work? Buy a bottle of Raspberry Moonshine by Vape Dodo London instead. Cast-Away Coconut by Vape Dodo London eLiquid | 10ml Bottles - If you're a tropical e-liquid purist, Cast-Away Coconut by Vape Dodo London is the e-liquid for you. Its pure, sweet coconut flavour is ready to sweep you away any time, night or day. Alpine Berry by Vape Dodo London eLiquid | 10ml Bottles - Imagine collecting a handful of wild mountain berries, tossing them together with some mint leaves and leaving everything in the hills overnight to gather frost. If that sounds like an overly elaborate way to eat berries, that's only because you haven't tried Alpine Berry by Vape Dodo London yet.